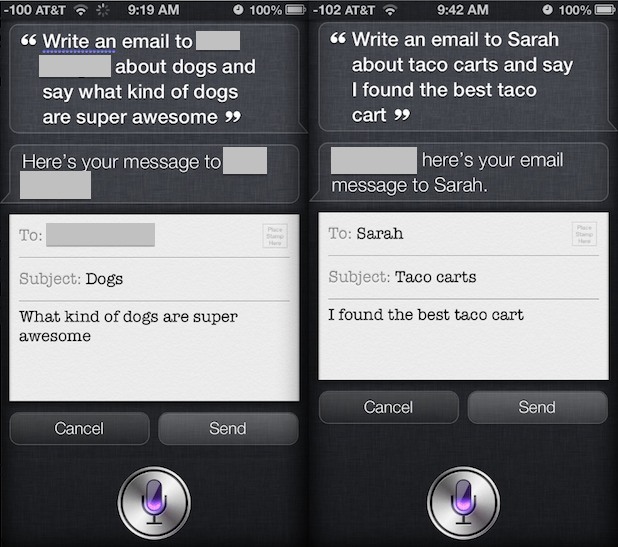 If you’ve sent emails out with Siri before, you have probably noticed that Siri will often respond to the initial email request with an inquiry about what the mail subject or body should contain, making you respond with another phrase and continue a back-and-forth dialog with Siri until the to, subject, and message fields are completed. There’s certainly nothing wrong with that approach, but you can write complete emails with Siri much faster by using certain keywords in your speech commands. Siri will write out the email as usual, but rather than requesting a body or subject from you again, it will fill everything in automatically, with the mail message immediately ready to send out. Siri will finish by asking if the message is ready to send, you can simply say “Yes” or tap the “Send” command on screen yourself. This is significantly faster than the question and answer method that goes along with the standard “email name” command, give it a try with Siri yourself. Siri is impressively useful in more ways than you may initially realize, don’t miss our other Siri tips to get more use out of the virtual voice assistant. This is awesome, I’ll definitely have to give it a try. I don’t use Siri a whole lot at the moment, mostly because it still seems faster to me to bang things out with my fingers. I’ve been meaning to use Siri for emails a lot more, it’s just hard for me to give up the think-it-and-write-it mentality and actually dictate an email, whether it’s to a program or a person or anything else. Doesn’t Siri add a dot at the end of the sentence? That makes sense when sending an email which consists of more than one sentence, but when sending only a few words of text (like in the example), I’d expect Siri to add a dot/period (or whatever you’d like to call it) at the end of the message. 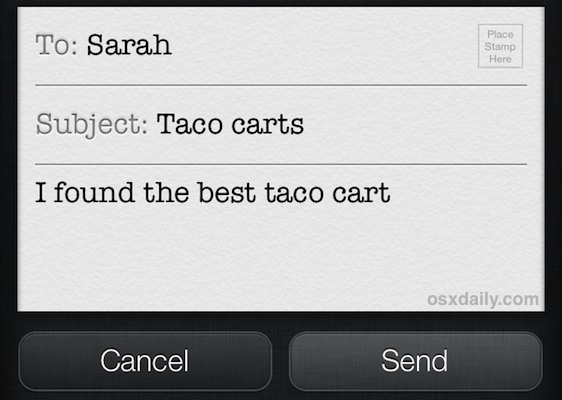 I composed an email through the Siri application and said yes to the question “would you like to send it now”. I heard the whoosh but the receiver did not get the email. This is a big deal because the receiver was my boss. Do you know of a way I can show the email was sent. I have already checked my sent, out box and trash messages and cannot find it.